In a continued effort to demonstrate the capabilities of the various BusinessObjects reporting tools as adequate in the user interface area, i created this info graphic style crystal report. 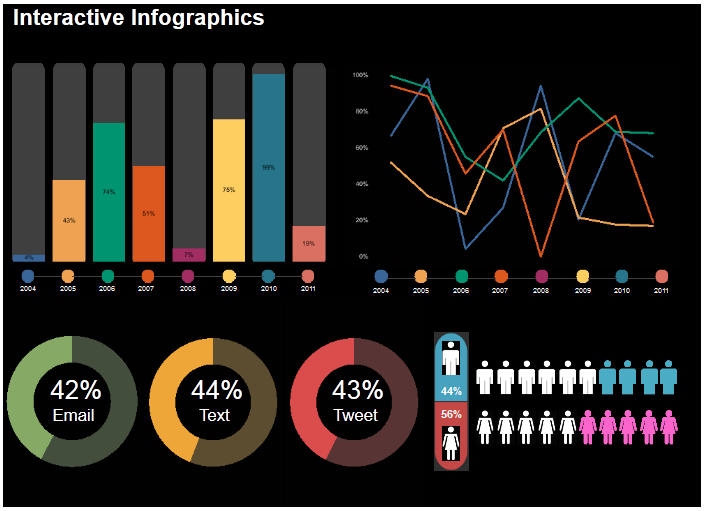 This report is modeled after my colleague’s Josh Tapley original InfoGraphic Style dashboard, and follows my example of the InfoGraphic style Webi. All this is simply a demonstration of the visual capabilities of these tools, and a statement of BI Happiness that declares that delivering data to users DOES NOT have to be ugly, boring and difficult. To be successful, users must WANT to use the reports, with no users adoption, any BI project is doomed. In this example, a crystal report was used, leveraging images and formatting options, as well as the RAS SDK with a custom viewer to embed the reports in a seamless fashion in a web page. Enjoy! This entry was posted in BusinessObjects 4.0, Crystal Reports, Data visualization and tagged crystal reports custom viewer, crystal reports infographic, crystal reports ras sdk. Bookmark the permalink.